During the Second World War, Adolf Hitler mandated that other nations’ cultural property be obtained, often forcibly, for the greater good of the state. His goals were both financial and cultural. Not only did Hitler want to enrich the Third Reich and its leaders with exquisite and culturally significant treasures, but he also intended to repatriate artworks once stolen from Germany, sell looted art that did not reflect the Reich’s ideals, and create in his hometown of Linz, Austria a Führermuseum, an institution he hoped to make into the cultural center of the world. The plunder and looting of art and other treasures was not limited to the Third Reich, however. The Soviet and American armies also participated, the former more thoroughly and systematically, the latter at the level of individuals stealing for personal gain. The following bibliography was compiled to guide readers to materials on looted art that are in the Library’s collection. It is not meant to be exhaustive. Annotations are provided to help the user determine the item’s focus, and call numbers for the Museum’s Library are given in parentheses following each citation. Those unable to visit might be able to find these works in a nearby public library or acquire them through interlibrary loan. Follow the “Find in a library near you” link in each citation and enter your zip code at the Open WorldCat search screen. The results of that search indicate all libraries in your area that own that particular title. Talk to your local librarian for assistance. Chronicles the meticulous planning and organization involved in the Soviet Union’s wholesale confiscation of more than two and a half million European cultural treasures, including art objects, books, and archival documents, from the newly defeated Germans. Explores the discovery that numerous objects were never recovered and are still hidden in Russia. Includes illustrations, notes, a bibliography, and an index. Profiles 21 separate cases of looting and confiscation of art and other valuables during and immediately after the war. Highlights facts and theories of the whereabouts of these collections. Includes appendices, a bibliography, endnotes, illustrations, and an index. Relates the story of the United States Army’s plunder of valuable art and artifacts following the liberation of Germany. Includes an appendix, notes, and an index, along with several black and white illustrations. Presents 17 papers delivered at a conference of the same name held in Berlin, December 2008. Examines issues related to restitution of cultural assets; provenance research; and compromises and resolutions to various claims. Each chapter is in both English and German, with Hebrew summaries and endnotes at the end. Provides historical context for Hitler’s looting campaigns by reviewing the looting practices of ancient civilizations, third world countries, and Napoleon, who, like Hitler, appropriated cultural treasures for the greater glory of the state. Includes numerous illustrations, a bibliography, and an index. Describes Hitler’s special mission to amass an enormous collection of the world’s greatest artworks with which to create the Führermuseum. Also relates the United States Army’s efforts to recover the works and make restitution. Includes a list of major works still missing, a bibliography, and an index. Extensively-illustrated history of Nazi efforts to confiscate masterpieces from art museums across Europe. Documents ongoing efforts to locate looted artworks and return them to their owning institutions. Details Nazi Germany’s highly organized and systematic plunder of art objects, focusing on the confiscations of five large private art collections owned by Jewish families and art dealers in France. Provides reproductions of numerous looted art pieces and original documents seized from Schenker International Transport, a German company involved in moving stolen works of art. Also includes the text of an interview with Alain Versay regarding the Schloss collection, notes, and an index. Discusses individual collections and repositories of looted art. Describes pillage by the Nazis and postwar activities of Western Allies and Soviet troops to identify and repatriate artworks. Includes a bibliography, endnotes, illustrations, and an index. Presents a compendium to a 2005 exhibition on cultural looting in Luxembourg during the war. Contains information both on artwork acquired by Luxembourg museums during the war, and on artifacts known to be taken from the residents of the area by the Nazis and local collaborators. Includes lists of archival sources, a bibliography, guidance on making a claim, and suggestions for internet research. Details the history and development of art restitution policies and practices. Provides a history of Nazi looting and early efforts by the Allies to repatriate art, Cold War era restitution activities, and issues concerning Jewish patrimony. Includes appendices, a bibliography, glossary, footnotes, illustrations, and an index. An extensively-researched work on the pillage, plunder, and often destruction of Europe’s greatest art treasures by the Third Reich and the Soviet Union, as well as the restitution of much of the property by American “Monuments officers.” Includes illustrations, a bibliography, notes, and an index. Journalistic account of the author’s quest to locate lost artworks from the collection of Erich Chlomovitch, a Yugoslavian Jewish collector. Traces the evolution of Nazi Germany’s cultural policy from the establishment of a cultural bureaucracy and the purge of art world undesirables to the plunder and confiscation of cultural property. Also examines the collections of some of Nazi Germany’s elite art collectors and their means of acquisition, as well as the importance of collecting within the National Socialist framework. Includes an appendix, notes, a bibliography, and an index. Evaluates the participation of prominent members of the German art world in the Third Reich’s cultural program of looting European and Jewish artworks during World War II. Devotes separate chapters to examining the roles of museum directors, dealers, journalists, and artists. Includes detailed notes, a bibliography, and an index. Collects articles and research written by authorities on the subject of art restitution. Presents information on international law, art loans, and insurance and indemnity programs. Includes a chronology of publications and court cases, lists of resolved investigations, and footnotes. Chronicles Hitler’s great plundering campaigns and his thwarted attempt to make Linz, Austria, his childhood home, the cultural center of the world, replete with museums, library, and theater. Also provides an account of the United States Army’s quest to locate the treasures and make restitution. Based on a secret United States Army document. Includes illustrations and an index. Comprehensive guidebook of Nazi looted art and related restitution issues, including the legal issues involved in buying and selling artwork that may have been plundered by the Nazis during World War II. Presents hundreds of case studies illustrating recent developments in the restoration of looted artworks to their rightful owners. Includes a glossary of key terms and an index. Examines the history of the painting, Street Scene, and the negotiations to return the painting to the rightful owners. Includes endnotes and acknowledgments. Details the secret and well-organized mission to save the Louvre’s famous and valuable artworks from Germans confiscation. Reviews the programs successes and failures, and describes the Nazi’s obsessive pursuit of these French cultural treasures. Includes twenty-six black and white illustrations, a bibliography, and an index. A collection of essays from an international symposium on the art and other cultural property looted or destroyed by the Nazis and others during World War II. Reviews losses by country, laws on appropriations of cultural property, reparations, recovery, and current issues. Includes illustrations, contributions by conference participants, notes, several appendices, a glossary, a selected bibliography, and an index. Provides the author’s account of his activities as the administrator of one of the largest looted art repositories in post-war Europe. Includes endnotes, illustrations, and primary source documents. Provides the author’s account of his role in tracking down valuable objects looted from an art repository in Germany by an American soldier after the war. Includes illustrations. Reproduces images and provenance research of looted art from a 2008 exhibition in Paris. Each description includes background on the painting, how and when it was taken to Nazi Germany, and details on its return to France, and contact information to make a claim of ownership. Includes a chronology and an index; bilingual text in both English and French. Catalogs works of art and valuable items that were looted from Italy by the Nazis. Includes appendices, a bibliography, illustrations, and indexes. Presents materials related to the pillage and destruction of art, books, and archival documents from Hungary during and immediately after World War II. Includes a chronology, illustrations, and primary source documents. Traces the history of a single painting from its creation in the 19th century through its restitution trial in the late 20th century. Includes endnotes. Provides bibliographic information and images of thousands of art works that disappeared from Polish collections during World War II. Includes indexes of owners and artists. Parallel text in English and Polish. A guide for museums on Nazi-era issues as they pertain to collections and their provenance. Addresses matters relating to acquisitions, loans, existing collections, claims of ownership, and fiduciary responsibilities. Reprints in full the AAM Guidelines Concerning the Unlawful Appropriation of Objects during the Nazi Era. Also includes examples of museum documents and policies on these matters and a series of related appendices. Provides official American Association of Museums guidelines and strategies for conducting provenance research with special detail to Holocaust history and procedures. Appendices include bibliographies, biographies, profiles of dealers and auctions, photographs, and archival contact information as well as Nazi reference codes and names of Nazi art thieves. Recorded proceedings of a conference to investigate sources for research and writing on the topic of looted art. Offers a list of books and additional resources concerning efforts toward restitution and reparation for Nazi policies and aggression. Addresses matters concerning Swiss banking, compensation for slave laborers, and general efforts toward compensation. 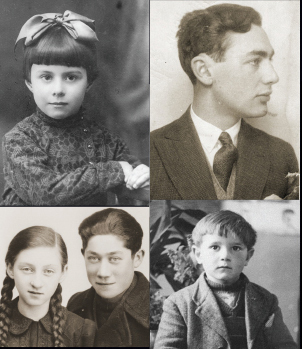 Gathered and annotated by the Library staff at the United States Holocaust Memorial Museum. Web presence of the Central Registry, a charitable body located at the Oxford Centre for Hebrew and Jewish Studies at Oxford University. Provides information about ongoing efforts to track looted cultural artifacts from the Nazi era, as well as databases of useful resources in individual countries. 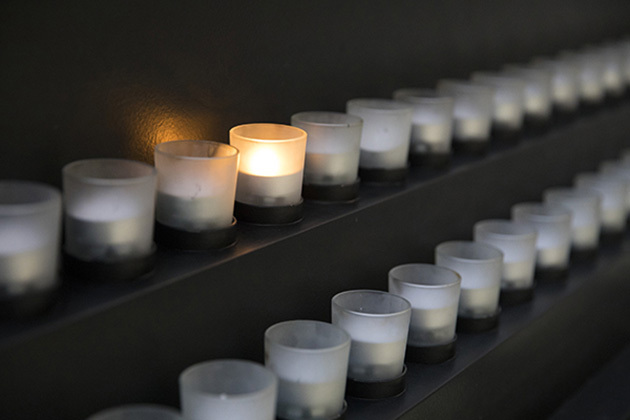 The full program of the symposium hosted by the Center for Advanced Holocaust Studies at the United States Holocaust Memorial Museum on March 22, 2001, featuring streaming audio files of all twelve presentations. Examines the institutions charged with implementing confiscation policies, the manner in which Jewish assets were seized, and the perspectives of those whose property was confiscated. Also considers the possibilities for and barriers to future research. Audio recordings of the symposium can be heard here. Ask at the reference desk to see the subject files labeled “Art, Looted” and “Art Thefts” containing newspaper and periodical articles.